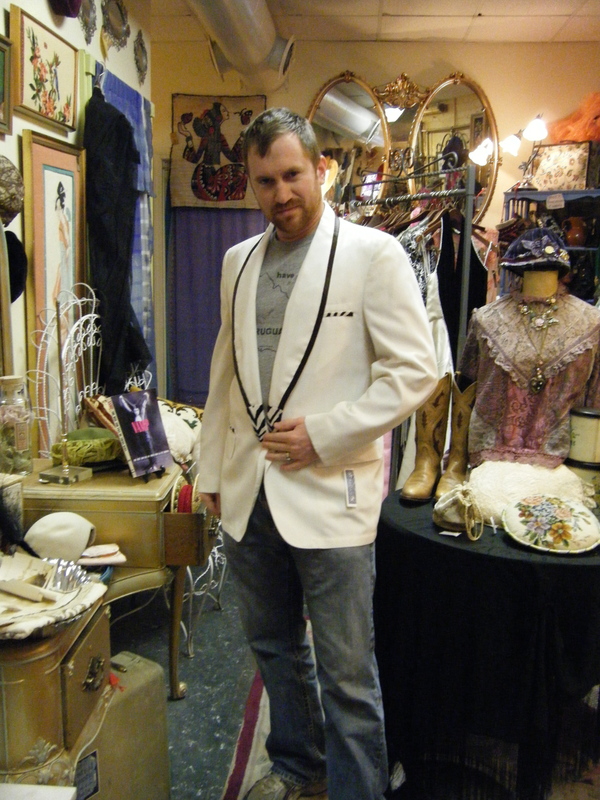 There is wonderful shopping in downtown Asheville, NC, including three distinct vintage stores. 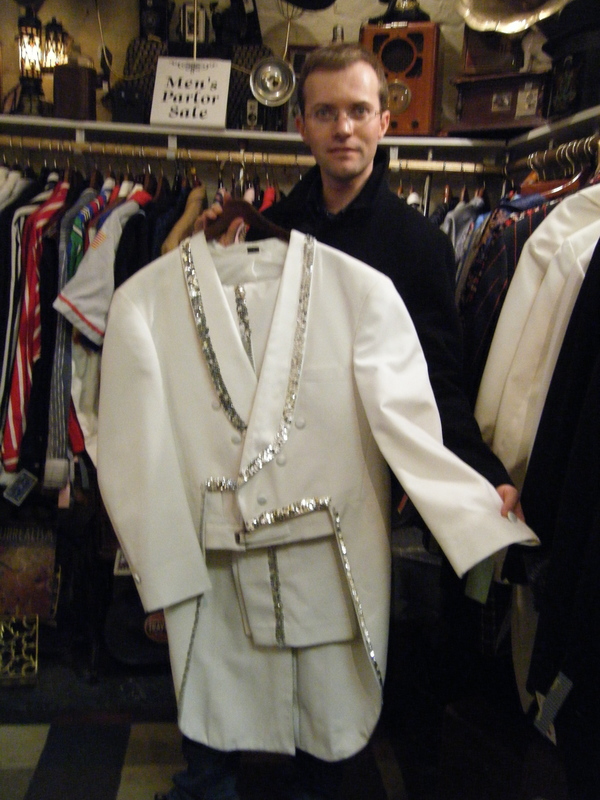 Unfortunately, I only made it to two of them, but I’ll still give a shout out to Ragtime Vintage Clothing from my past experiences with them – a great place to find 1930’s and 40’s ties. My partners in crime for this excursion were fellow Lindy Focus dancers Hilary Mercer, Neil Mercer, and Leslie Faircloth. After a delicious lunch at Mayfel’s Restaurant, we headed to Hip Replacements, a vintage inspired boutique that carries vintage clothing, reproductions, and re-designed vintage clothing. 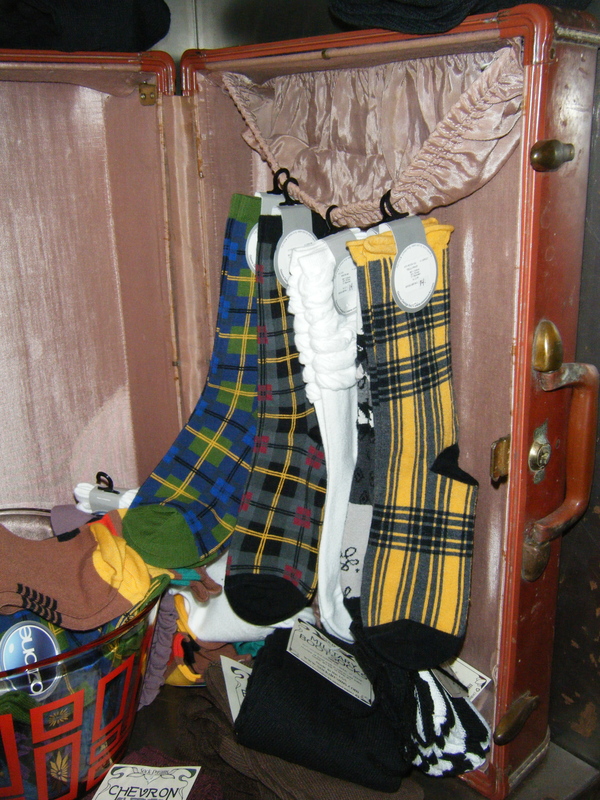 The store has a sort of punky, rockabilly feel to it and the clothes go from outlandish to classic. 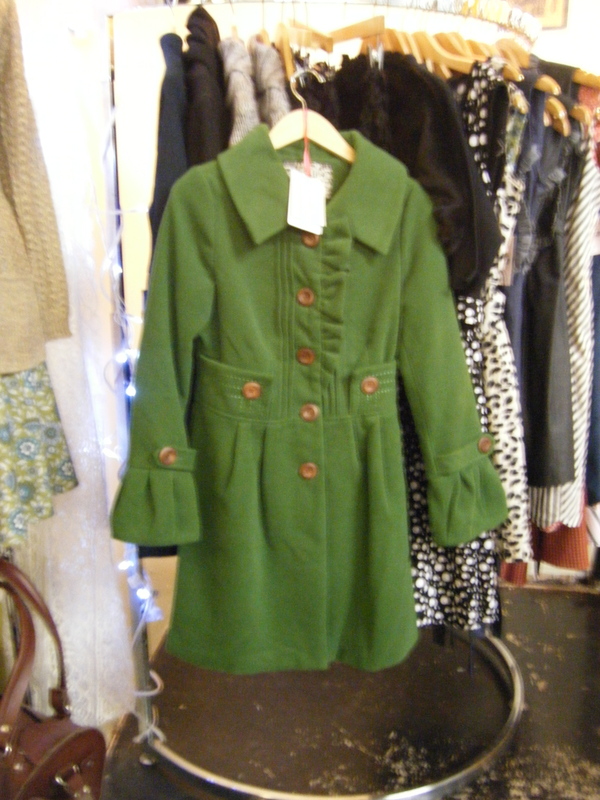 I fell in love with a green coat and a reproduction day dress. 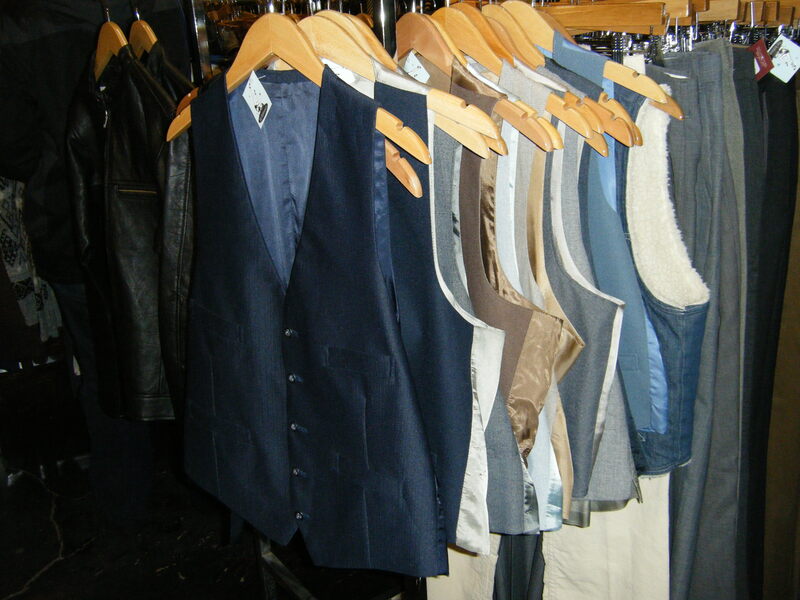 Of note for the gents, there was a large rack of sport coats and a decent selection of vests. 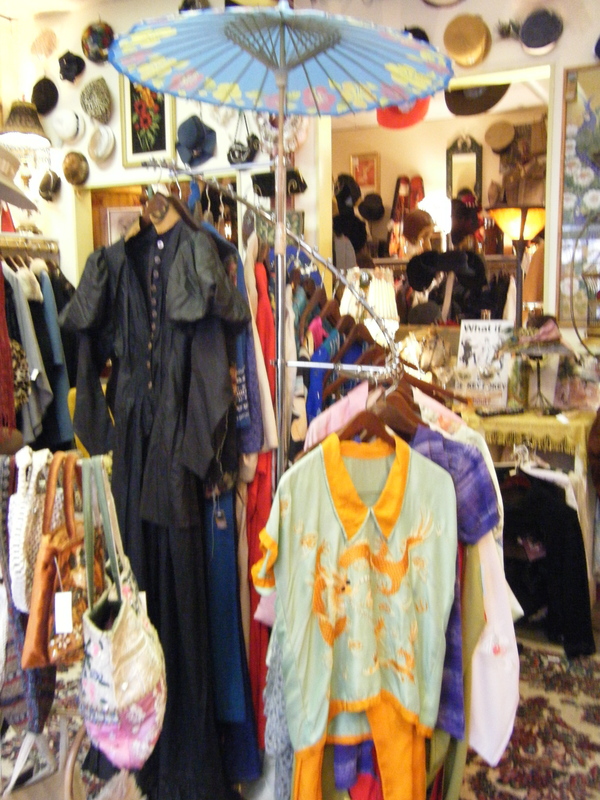 We then headed a few doors down to Vintage Moon, which is my favorite of the Asheville vintage stores, as they have a larger selection of older vintage clothing and the walls and shelves are filled with gorgeous vintage items – old hats, shawls, Victrolas, phones, jewels, feathers, gloves….ahhhhh! 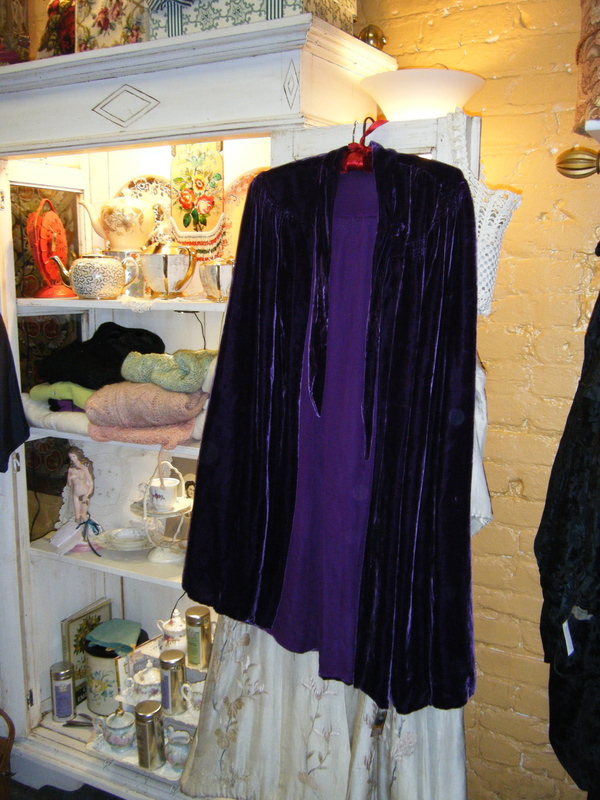 My velvet addiction kicked in and I drooled over a pale green burnout velvet 1930’s gown and a purple velvet cape, as well as some adorable day dresses and hats. 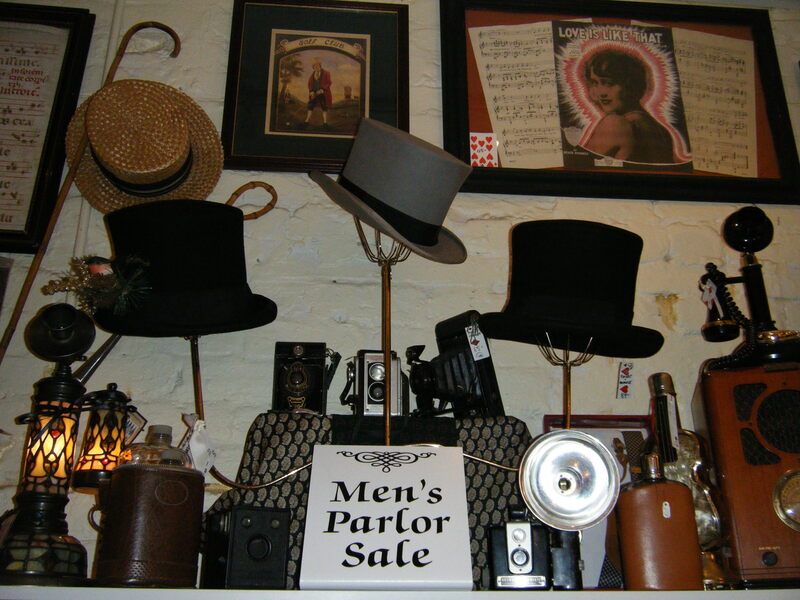 For the gents, tophats and tails abound, as well as some interesting evening wear and footwear. 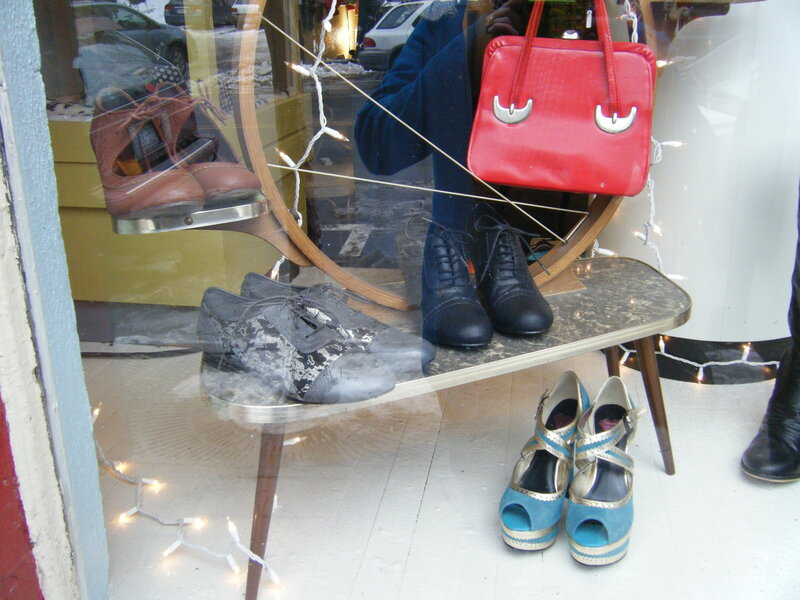 Definitely worth your time to browse in this lovely store. 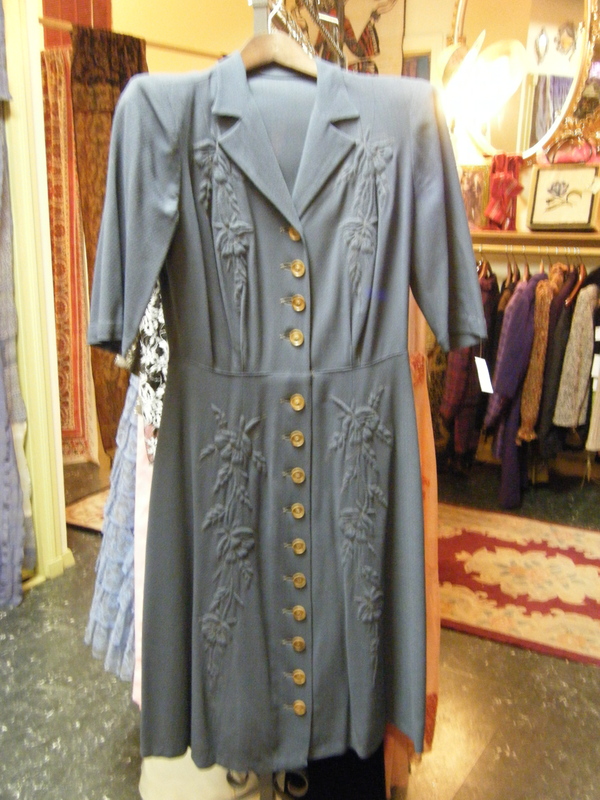 This entry was posted in 1920's, 1930's, 1940's, 1950's, Vintage Stores and tagged Asheville, clothing, downtown, Hip Replacements, Lindy Focus, North Carolina, Ragtime Vintage Clothing, stores, vintage, Vintage Moon. Bookmark the permalink.